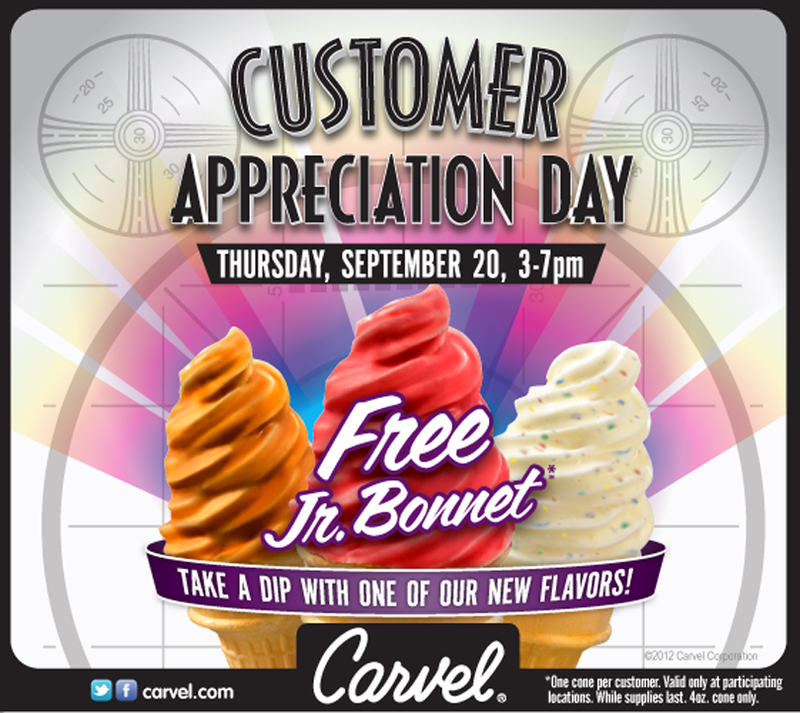 Carvel is having their annual customer appreciation day September 20th this year! 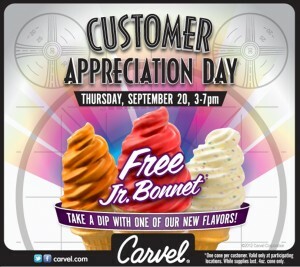 The event is from 3-7 pm and you will be able to get a FREE Junior soft serve ice cream cone dipped in Bonnet. There are different flavors of Bonnet to pick from including caramel, cotton candy, peanut butter, cake mix and more. There is a limit of 1 per customer. Be sure to call ahead to make sure your location is participating.